I am drawn to Karen’s Table 2. 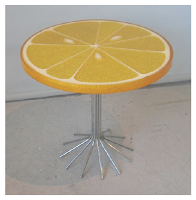 I would name it my Florida Sunshine Breakfast Table–my grandmother used to call orange juice we drank every morning at her house “Florida Sunshine.” Its round structure and funky graphics make it a fun table suitable for casual breakfasts. My family eats most of its meals together around our round kitchen table. Unlike many of my peers, I grew up with the expectation that we would all eat together around 6pm and could not leave unless we were excused. We still even abide by the same seating arrangements claimed decades ago. One major (and traumatic shift) notwithstanding, my mother sits closest to the cooking area, my father next to her looking out the window, my brother next to dad, and me with my back against the window. My father used to sit in front of the window, but he moved to my original seat after having chemotherapy in the mid 1990s. It’s much easier to get in-and-out of, and farthest away from the cold window. The first time I brought a boyfriend home for dinner, he sat in my brother’s traditional seat. A stern “That is MY seat” from my older (and much taller) brother scared the pants off of him and has been fodder for jokes for years. Every family moment, big and small, was discussed around our dinner table. For me, it was a sounding area for advice regarding school dances, report cards, college applications and more. I believe the circular format of my kitchen table made it easier to discuss topics and listen to everyone’s opinion. To me, having a place at the table means one’s position within a group is valued. I prefer the dynamics of a round table, as it doesn’t have the hierarchy inherent in a table with a “head” seat. Tables are created in many different shapes and styles and provide diverse functions. As seen in our readings, a Japanese tea ceremony table may be seen as a bench by Westerners. A banquet table in a fancy dining room provides a much different dinner setting than a kitchen island with stools. Metaphorically, tables could be thought of as a theatrical stage. It provides a setting for events to occur: group meals, party food presentations, market transactions. The stage, along with the presentation of objects on it, is crafted through creative choices. Different stages yield to different experiences. Thinking about a different kind of table–a dressing table– I looked up 2 face wash products: Cetaphil and Mychelle. 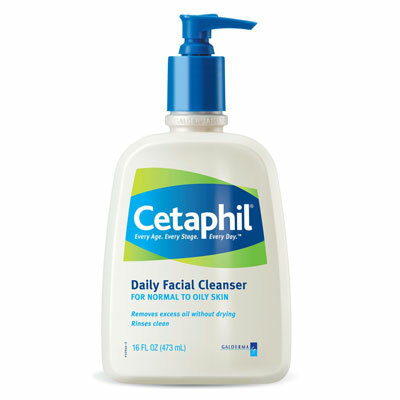 A few months ago I flipped out over my skin, thinking that I was allergic to something in Cetaphil that made my skin extra dry (sulfates). 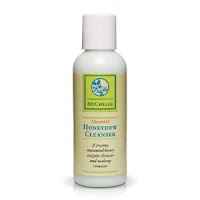 I went to a local natural grocery store and was told that the Mychelle Honeydew Cleanser would be much better for me. I looked up these two products through Good Guide and Skin Deep and saw that while Mychelle has a lower hazard score (1 vs. 3), Cetaphil’s Health/Society/Environment rating is much better (7.4 vs. 6.3). 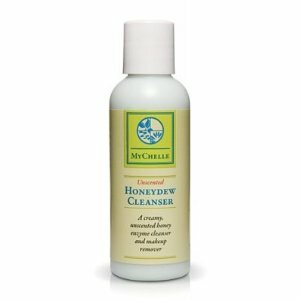 It’s interesting that Mychelle is marketed as a natural, organic product but does not have highly rated working conditions. I hope that companies do not forget ethical treatment of human beings while striving for ecological beneficence. Assignment: Make a personal connection to one of the tables, name the table (and designate its page number). At your blog entry 2 introduce yourself to the others in your group with a story that relates to your chosen table by responding to one or more prompts. Use Good Guide & Skin Deep to learn about the social, environmental, and health performance of household objects in your home. Share one discovery.